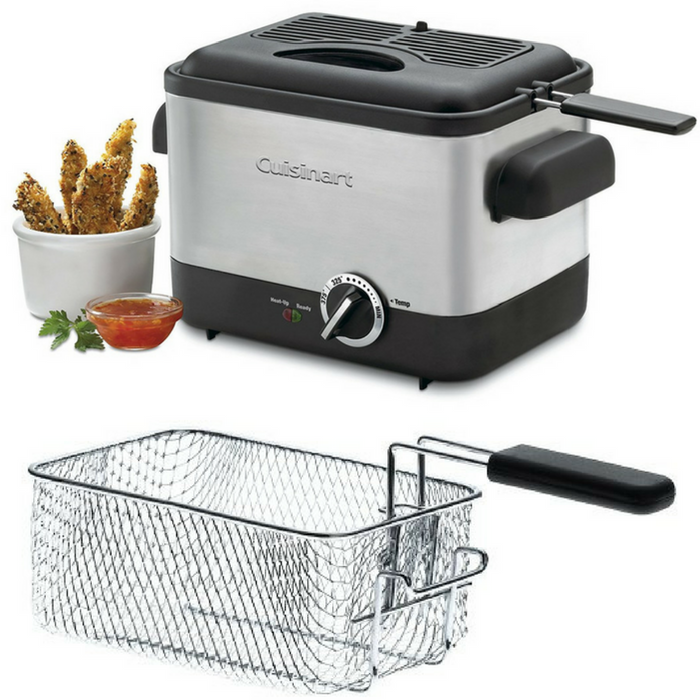 Cuisinart 1.1-Liter Deep Fryer Just $36.53! Down From $90! PLUS FREE Shipping! You are here: Home / Great Deals / Amazon Deals / Cuisinart 1.1-Liter Deep Fryer Just $36.53! Down From $90! PLUS FREE Shipping! Don’t miss your chance! Amazon offers this Cuisinart 1.1-Liter Deep Fryer for only $36.53, when you apply the extra $0.96 discount coupon located below the price, down from $90.00, PLUS FREE shipping! Cuisinart presents a deep fryer that takes up less counter space. Designed to fry batches up to ¾ of a pound in just 1.1 liter of oil, this Cuisinart 1.1-Liter Deep Fryer is a great deep fryer even for spur-of-the-moment snacks and meals. The compact design allows creative cooks to prepare fried calamari to top a salad, and moms to fry up mozzarella sticks for kids. Temperatures up to 375°F and a die-cast frying bowl maintain selected oil temperatures for restaurant-quality results. Easy to use, easy to clean, and simple to store, it could make deep frying an everyday event!